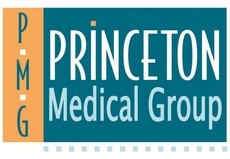 Princeton Medical Group, P.A. is currently seeking BC/BE OB/GYN Generalist to join our multispecialty group which is physician owned and operated since 1946. We have a balanced mix of obstetrics and gynecology in our seven member department. The group operates out of a state of the art medical center built in 2012 with two da Vinci robots, 24 hour anesthesia support, and a level 111A NICU. Centrally located between New York and Philadelphia, Princeton, NJ is a diverse, fascinating college community, good for families, with good school systems, which offers a wide array of cultural, social, and outdoor activities. Email CV to Joan Hagadorn at jhagadorn@princetonmedicalgroup.com.